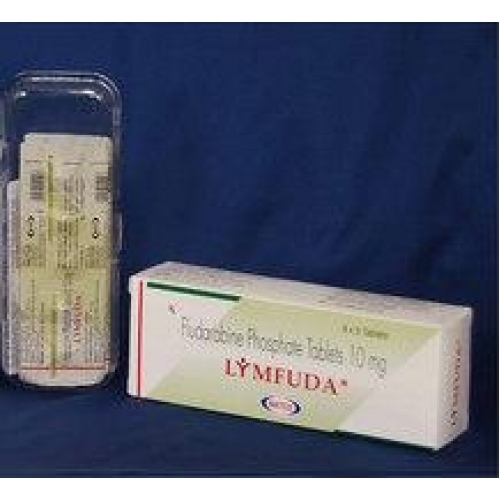 Fludara FOR INJECTION contains Fludarabine phosphate, a fluorinated nucleotide analog of the antiviral agent vidarabine, 9-β-D-arabinofuranosyladenine (ara-A) that is relatively resistant to deamination by adenosine deaminase. Each vial of sterile lyophilized solid cake contains 50 mg of the active ingredient Fludarabine phosphate, 50 mg of mannitol, and sodium hydroxide to adjust pH to 7.7. The pH range for the final product is 7.2-8.2. Reconstitution with 2 mL of Sterile Water for Injection USP results in a solution containing 25 mg/mL of Fludarabine phosphate intended for intravenous administration. Fludara FOR INJECTION should be administered under the supervision of a qualified physician experienced in the use of antineoplastic therapy. Fludara FOR INJECTION can severely suppress bone marrow function. When used at high doses in dose-ranging studies in patients with acute leukemia, Fludara FOR INJECTION was associated with severe neurologic effects, including blindness, coma, and death. This severe central nervous system toxicity occurred in 36% of patients treated with doses approximately four times greater (96 mg/m2/day for 5-7 days) than the recommended dose. Similar severe central nervous system toxicity, including coma, seizures, agitation and confusion, has been reported in patients treated at doses in the range of the dose recommended for chronic lymphocytic leukemia. Instances of life-threatening and sometimes fatal autoimmune phenomena such as hemolytic anemia, autoimmune thrombocytopenia/thrombocytopenic purpura (ITP), Evan's syndrome, and acquired hemophilia have been reported to occur after one or more cycles of treatment with Fludara FOR INJECTION. Patients undergoing treatment with Fludara FOR INJECTION should be evaluated and closely monitored for hemolysis. Fludarabine phosphate is rapidly dephosphorylated to 2-fluoro-ara-A and then phosphorylated intracellularly by deoxycytidine kinase to the active triphosphate, 2-fluoro-ara-ATP. This metabolite appears to act by inhibiting DNA polymerase alpha, ribonucleotide reductase and DNA primase, thus inhibiting DNA synthesis. The mechanism of action of this antimetabolite is not completely characterized and may be multi-faceted. 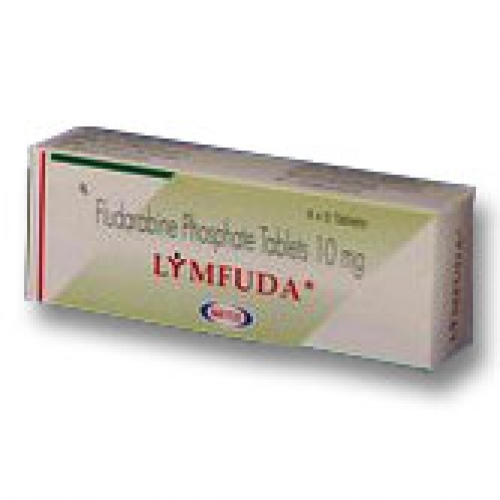 Phase I studies in humans have demonstrated that Fludarabine phosphate is rapidly converted to the active metabolite, 2-fluoro-ara-A, within minutes after intravenous infusion. Consequently, clinical pharmacology studies have focused on 2-fluoro-ara-A pharmacokinetics. After the five daily doses of 25 mg 2-fluoro-ara-AMP/m2 to cancer patients infused over 30 minutes, 2-fluoro-ara-A concentrations show a moderate accumulation. During a 5-day treatment schedule, 2-fluoro-ara-A plasma trough levels increased by a factor of about 2. The terminal half-life of 2-fluoro-ara-A was estimated as approximately 20 hours. In vitro, plasma protein binding of Fludarabine ranged between 19% and 29%. Limited pharmacokinetic data for Fludara FOR INJECTION are available from a published study of children (ages 1-21 years) with refractory acute leukemias or solid tumors (Children’s Cancer Group Study 0971). When Fludara FOR INJECTION was administered as a loading dose over 10 minutes immediately followed by a 5-day continuous infusion, steady-state conditions were reached early. The total body clearance of the principal metabolite 2-fluoro-ara-A correlated with the creatinine clearance, indicating the importance of the renal excretion pathway for the elimination of the drug. Renal clearance represents approximately 40% of the total body clearance. Patients with moderate renal impairment (17 - 41 mL/min/m2) receiving 20% reduced Fludara dose had a similar exposure (AUC; 21 versus 20 nM●h/mL) compared to patients with normal renal function receiving the recommended dose. The mean total body clearance was 172 mL/min for normal and 124 mL/min for patients with moderately impaired renal function. Fludara FOR INJECTION is indicated for the treatment of adult patients with B-cell chronic lymphocytic leukemia (CLL) who have not responded to or whose disease has progressed during treatment with at least one standard alkylating-agent containing regimen. The safety and effectiveness of Fludara FOR INJECTION in previously untreated or non-refractory patients with CLL have not been established. 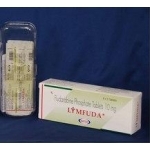 Fludara FOR INJECTION is contraindicated in those patients who are hypersensitive to this drug or its components. The recommended adult dose of Fludara FOR INJECTION is 25 mg/m2 administered intravenously over a period of approximately 30 minutes daily for five consecutive days. Each 5 day course of treatment should commence every 28 days. Dosage may be decreased or delayed based on evidence of hematologic or non-hematologic toxicity. Physicians should consider delaying or discontinuing the drug if neurotoxicity occurs. A number of clinical settings may predispose to increased toxicity from Fludara FOR INJECTION. These include advanced age, renal insufficiency, and bone marrow impairment. Such patients should be monitored closely for excessive toxicity and the dose modified accordingly. The optimal duration of treatment has not been clearly established. It is recommended that three additional cycles of Fludara FOR INJECTION be administered following the achievement of a maximal response and then the drug should be discontinued. Adult patients with moderate impairment of renal function (creatinine clearance 30-70 mL/min/1.73 m2) should have a 20% dose reduction of Fludara FOR INJECTION. Fludara FOR INJECTION should not be administered to patients with severely impaired renal function (creatinine clearance less than 30 mL/min/1.73 m2). Fludara FOR INJECTION should be prepared for parenteral use by aseptically adding Sterile Water for Injection USP. When reconstituted with 2mL of Sterile Water for Injection, USP, the solid cake should fully dissolve in 15 seconds or less; each mL of the resulting solution will contain 25 mg of Fludarabine phosphate, 25 mg of mannitol, and sodium hydroxide to adjust the pH to 7.7. The pH range for the final product is 7.2-8.2. In clinical studies, the product has been diluted in 100 cc or 125 cc of 5% Dextrose Injection USP or 0.9% Sodium Chloride USP. Reconstituted Fludara FOR INJECTION contains no antimicrobial preservative and thus should be used within 8 hours of reconstitution. Care must be taken to assure the sterility of prepared solutions. Parenteral drug products should be inspected visually for particulate matter and discoloration prior to administration. Fludara FOR INJECTION should not be mixed with other drugs. Caution should be exercised in the handling and preparation of Fludara FOR INJECTION solution. The use of latex gloves and safety glasses is recommended to avoid exposure in case of breakage of the vial or other accidental spillage. If the solution contacts the skin or mucous membranes, wash thoroughly with soap and water; rinse eyes thoroughly with plain water. Avoid exposure by inhalation or by direct contact of the skin or mucous membranes.